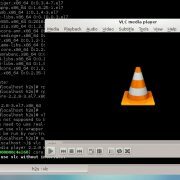 VLC player is a free and open source media player that is available for almost every operating including mobile platform such as Windows, Apple Platforms (Mac OS X, iOS, Apple TV), Linux (Debian, Ubuntu, Mint, openSUSE, Gentoo Linux, Fedora, Arch Linux, Slackware Linux, ALT Linux, Red Hat Enterprise Linux. Also it available for Android, Chrome OS, FreeBSD, NetBSD, OpenBSD, Solaris, QNX, Syllable, and OS/2. 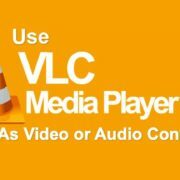 Run the VLC Media Player. Click on the Tools option given in the Menu bar of the VLC Media player. Select the Preference option. You can also use the keyboard shortcut CTRL+P to directly access the Preference option after running the VLC player. Under the Preference settings, click on the Interface icon. 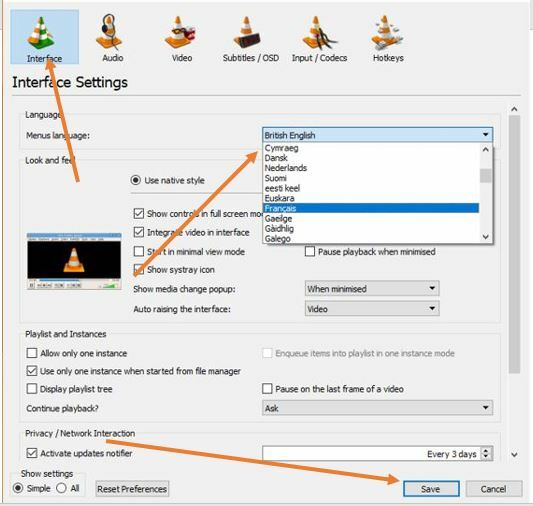 Now from the VLC interface settings, you will see menu languages. At the front of the Menu languages, the drop box appeared just click on that and select your native language from the list of the languages available in VLC media player. After selecting your language, click on the Save button given at the bottom of VLC. 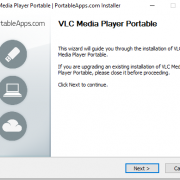 Now, restart the VLC Media player and you will see the language has been changed successfully. 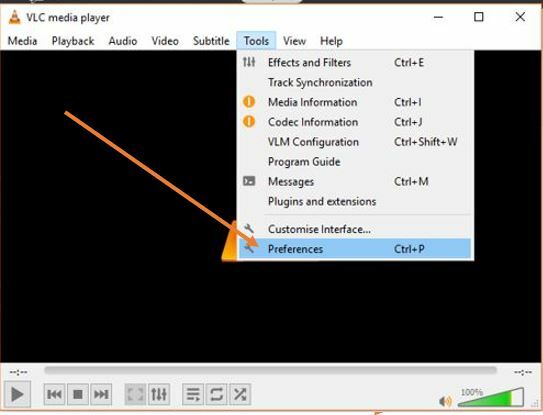 Open the VLC player->Preference or directly use the shortcut key CTRL+P. Click on the Interface->Menu languages ->Drop down box -> select the languages-> Click on the Save button.